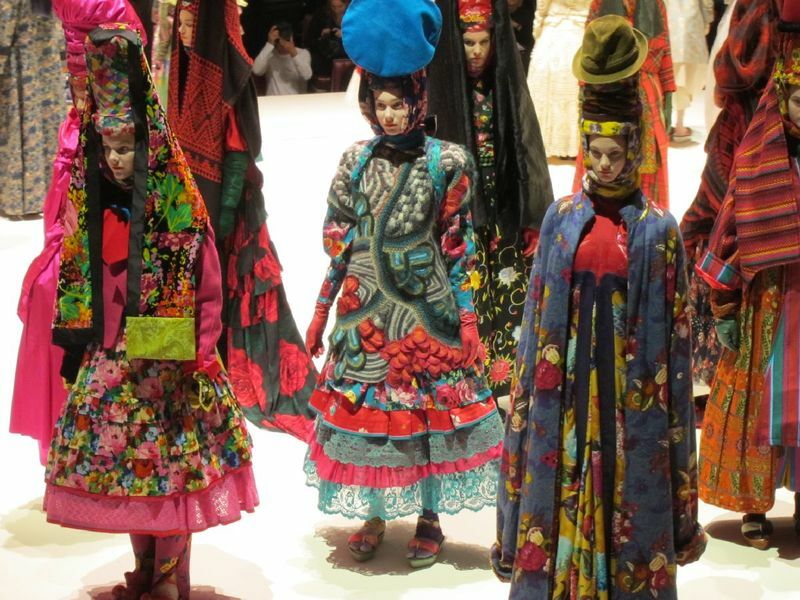 Legendary Japanese brand Kenzo celebrated its 40th anniversary yesterday in Paris with its latest Spring 2011 fashion show. 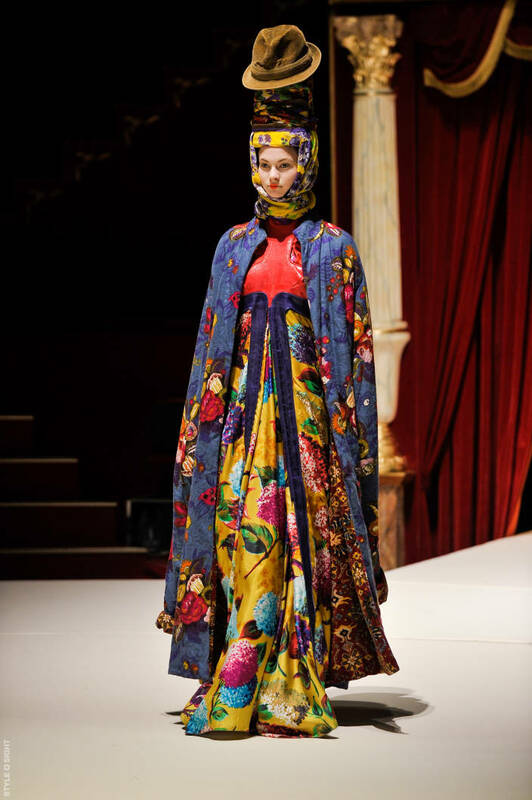 Though the new collection itself is worth plenty of praise and attention, it is the special celebratory presentation during the 2nd half that demands the spotlight. Into his sixth year as designer of Kenzo, Italian Antonio Marras set out an effort to celebrate the legacy of Kenzo while signifying a transition to Kenzo’s future under his influence. Therefore, stylist and designer Vanessa Reid set out to combine archival pieces with recent creations from Marras’ tenure to create stunning visuals of Kenzo’s signature ethnic aesthetics. 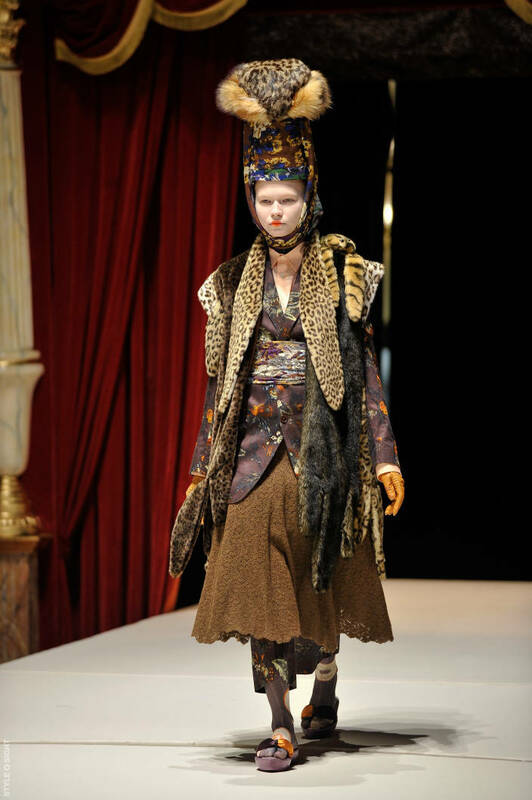 The concept was inspired by American artist, Nick Cave, who is fascinated by reinterpreting the human silhouette. So Reid twisted, pinned, and piled yards and yards of fabric and garments to elongate the model’s silhouettes as much as possible to achieve new “heights” of artistry. 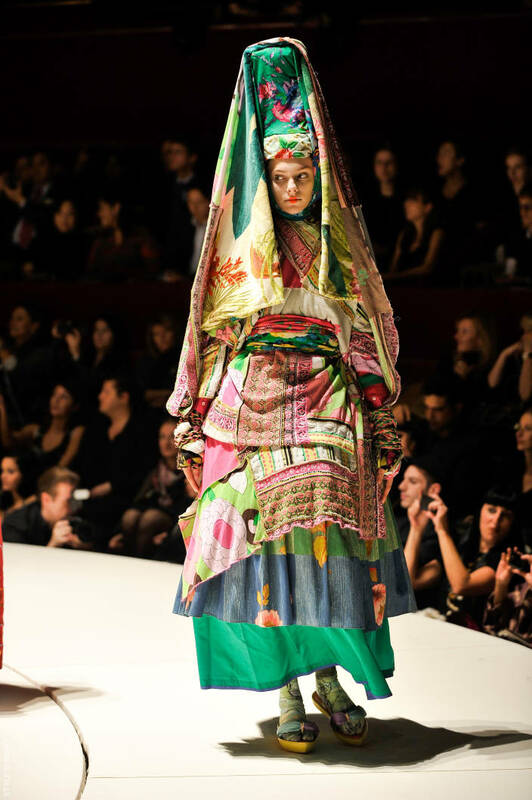 The result is a stunning and creative interpretation inspired by different ethnic elements; among them includes west-African, Chinese minorities, SouthEast Asian, Scandinavian, ancient Mayan, gypsy…etc. Though meant as a reflection of history, we can’t ignore the heavy motif of “mixing prints” and how modern it looks amid all the collage and pasting that is happening on the runway this season. This could be the ultimate canvas to exercise the “looking back to move forward” motif that’s heavily used by designers today. 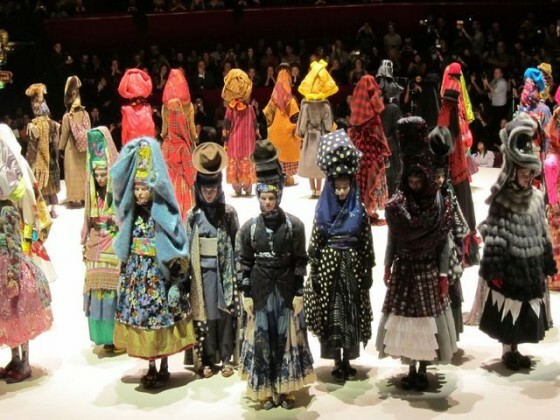 When all 40 models, who all skillfully walked the heavy and intricate ensembles, stood along the circular runway, it resembles a music-box of 40 Kenzo dolls. 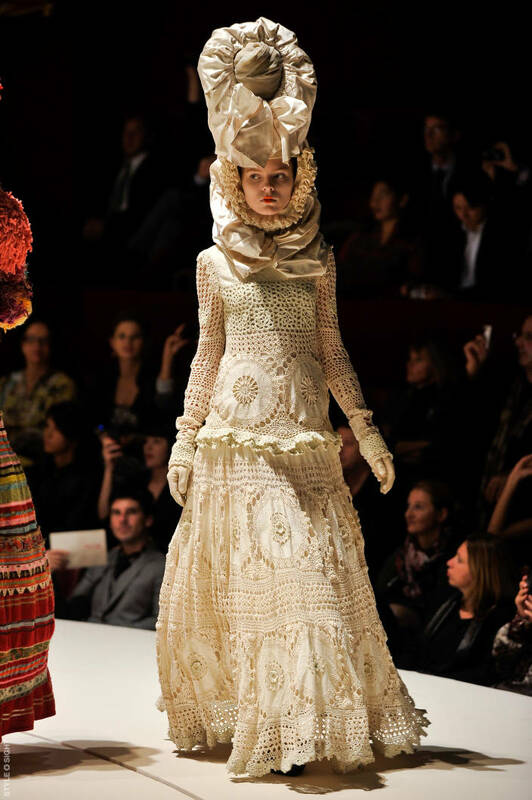 All in all, it was a masterful celebration of the inventiveness that was once associated with fashion. 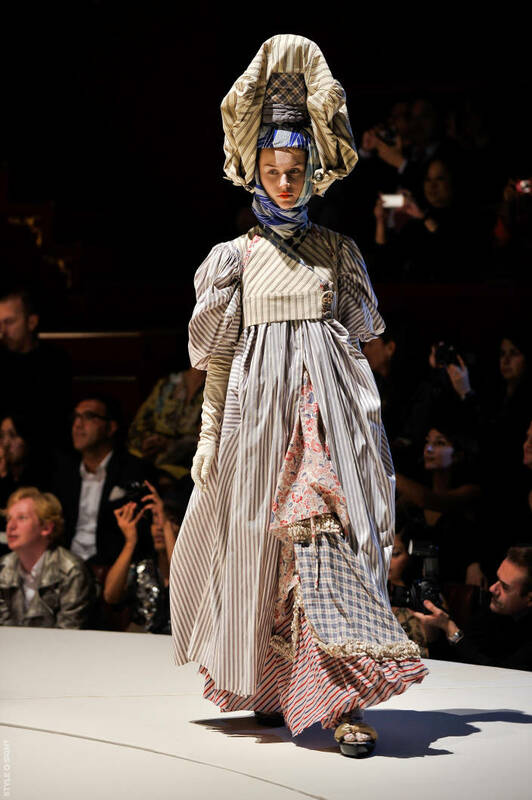 Although overt inventiveness is not the main driving force in the industry anymore, it will be interesting to test Mr. Marras’ commitment to continue or renew the brand’s legacy in that regard. To view the first part of the Kenzo Spring/Summer 2011 show, go here.